Korrigan', French navy submarine, 1906. 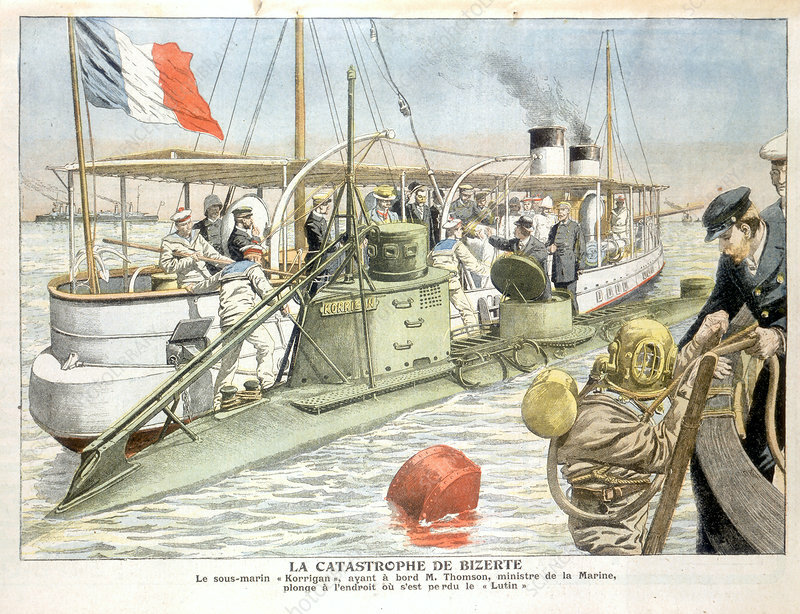 Monsieur Thomson, the French navy minister, making a dive in the submarine 'Korrigan' at the location where her sister ship 'Lutin' was lost. The Lutin sank with the loss of all her crew while manoeuvring in Bizerte Harbour, Tunisia, on 15 October 1906. From Le Petit Journal.